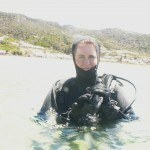 Tony is a PADI Master Scuba Diver Trainer and SDI instructor, who runs his own dive school called Learn to Dive Today, in Cape Town, South Africa. 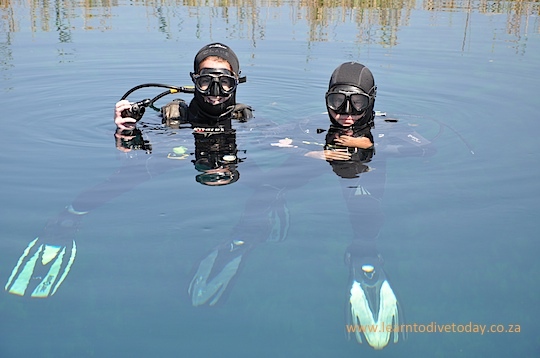 He has dived and worked all over the world – highlights being Mozambique, Jordan and Sodwana Bay in KwaZulu Natal, South Africa. He moved to Cape Town at the end of 2009, and has been working for himself ever since. He also runs a dive boat called Seahorse, which he uses for dive charters and any other boat charter work that comes along. Clare married Tony on 27 November 2010. 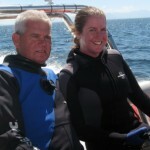 She is a Divemaster, having started diving in July 2009. Her day job involves lots of numbers and Excel spreadsheets, but she tries to spend as much time in or near the ocean as possible. She has lived in Cape Town all her life. take a look at the FAQ for answers to all your questions – email Tony if you have more! You can also read Tony’s weekly newsletter on this blog – email him to sign up. Want to chat? Use the form below, or leave a comment on any of our posts! I am back safe and dry (and warm) in Dubai; back to the grindstone. Lots of good memories of Cape Town and surroundings and the nice people we met. I found the pictures and movie on your facebook page (compliaments to Claire) and I have shared the link on my own page so you may attrack some more customers from Dubai. 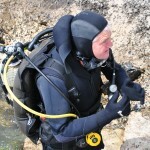 I would really appreciate if you could mail me the video footage and some of the pictures where I was in for my dive collection? Thanks for a great dive and to the guys (especially for taking me back to the hotel after the dive).